My name is Amy Maiden and it is my absolute privilege to be chairing this vitally important conversation tonight. I also want to pay my respects to the traditional owners of the land, the Gadigal people of the Eora Nation and pay my respects to elders past, present and emerging and I want to acknowledge any first nations people joining us here tonight, thank you so much for being here. This is, was, and always will be Aboriginal land. A big hello to our facebook audience tonight, it’s so great the SAMAG team could arrange for this event to be live streamed around the country and indeed, around the world. The more people we can connect with on this matter, the better. So. Where to start? It’s our intention to make tonight an active, forward facing, productive sharing of ideas around what is a very, very difficult conversation. If you’re here tonight, in person or online, I’m going to wager you have a working knowledge of the #metoo movement, so I’m not going to go back over the global events of the past few months. I will however say a few things to help frame the night. You’ll have noticed the title of this event is “Disarming sexism in the arts. 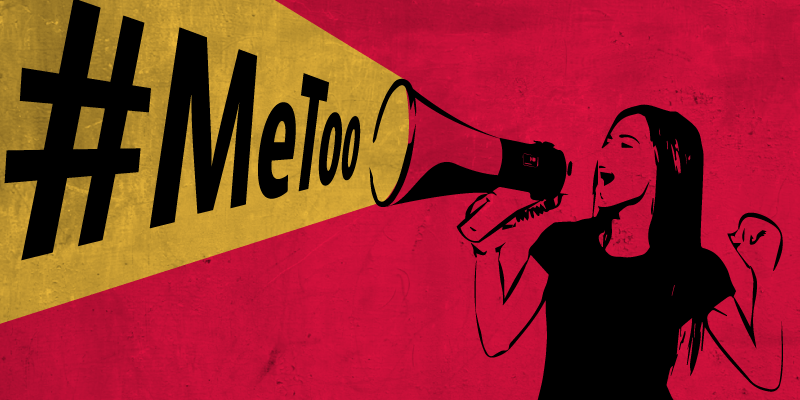 #metoo, but what next?” This is very deliberate – we know that the #metoo movement has largely been about sexual assault and harassment. However we feel very strongly that you can’t really talk about sexual assault and harassment without talking about systemic sexism and you can’t talk about sexism without talking about power. And that is what this entire dialogue has really been about. Power and the abuse of it. The #metoo movement has existed in one form or another for generations, but its been in whispers, in hushed conversations, in closed circles of women’s business. It has remained underground and under the surface, bubbling up and labeled as gossip and rumour, silenced by fear of retribution, by bullying, by payoffs and by defamation cases. But, it came roaring out of the shadows in October of last year and had lead us to this conversation tonight. By why us and why the arts? Why do we, as an industry, need to have this conversation tonight? Well, a survey conducted by MEAA found that 48% of women and those who identify as female respondents have experienced intimidation, abuse or sexual harassment in the workplace. One in three did not feel confident to speak up about discrimination. 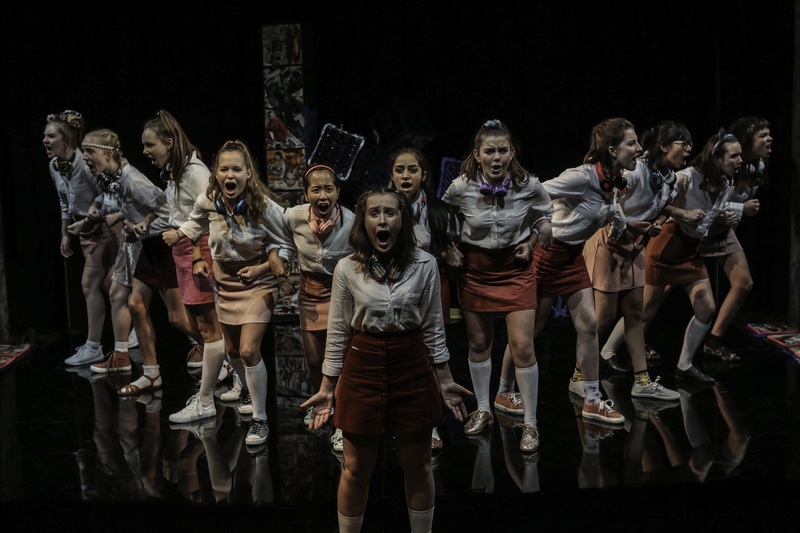 Of our 8 major theater companies only one of them has a female artistic director and all of them are white. We work long days, odd hours, most of us for lower than average pay, with a majority of artists jumping from job to job with little security or consistency of support. The teams at the helm our shows are often tasked with creating moments of extreme vulnerability or heightened emotion in a rehearsal room and on stage and I’ve heard many directors recently ask is there a better way to do this and keep a workplace safe? Our industry is set up in such a way that a small group of people hold a whole lot of power and we need to ask ourselves, who are we giving that power to? How can we share that power in a more equitable and diverse way? What pathways are we creating to ensure that the next group of Australia’s cultural leaders accurately reflect our population? I also want to acknowledge right up front that the lived experience expressed by the MeToo movement has not just been that of cisgendered women. This is something that also affects people who identify as women and by gay men. In fact, it’s been experienced by a vast and varied group of people who’s central factor of commonality is that they are in a place of less power than someone else, and in our patriarchal society, that is pretty much anyone who is not a cisgendered, straight white man. But, just like any other major issue in our culture, marriage equality, reconciliation, climate change, there will be no long term positive outcomes if this conversation calcifies into an “us and them” war of ideologies. If we really want positive, long term, meaningful change, we need a listening, an understanding and a coming together of people across cultures, race, gender and generation. The #metoo conversation is a deeply personal one that, on all sides, is as emotional as it is exciting, as frightening as it is powerful, as confusing as it is transformational. This is a big topic to tackle. But we’re going to tackle it tonight. Who’s with me?